Whether you have an employment law case or a personal injury lawsuit you will have a lot of interaction with a paralegal. 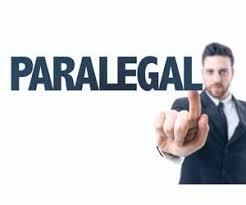 However, we realize that many people do not know what paralegals do or where they fit in during the litigation process. In short, paralegals work closely with and under the guidance of attorneys in order to assist the attorneys with their cases. More specifically, in today’s blog we would like to take this opportunity to explain some of the things that the paralegals here at Gold Star Law do. When you first call Gold Star Law to discuss your potential case, the person you are speaking with is a paralegal. The paralegal will ask you several questions about your employment law issue or your personal injury and generate a report for the attorneys at Gold Star Law to review. All of our paralegals receive extensive training in our practice areas so that they are able to get the information the attorneys need in order to decide whether or not you have a legal claim. It does not matter if you are calling about unpaid overtime, discrimination, an auto accident, slip and fall, or workplace injury; our paralegals have the knowledge necessary to discuss whatever problem you may be dealing with. Document review is just one of many tasks a paralegal will perform during the course of your lawsuit. Paralegals maintain client folders, case calendars and assist with task management as well. A paralegal is the person who makes sure that tasks are completed on time and makes sure that an attorney is available for all scheduled court dates. In addition, paralegals often write the first drafts of many of the documents which must be submitted throughout the course of your lawsuit. Paralegals also serve as a major point of contact between you and Gold Star Law. Whenever you have questions about the status of your case you will most likely speak to a paralegal. Likewise, if we need information from you, usually a paralegal will be the person who contacts you. If you believe that you have an employment law issue or if you were injured in an auto accident or experienced a personal injury, please call Gold Star Law today and one of our paralegals would be happy to assist you.